The MC Appliance Corporation (mcappliance.com) makes various microwave oven models under the brand name Magic Chef, from small basic units ideal for dorm rooms to large, professional models meant for restaurant use or in professionally designed home kitchens. One feature that all models provide is the ability to defrost foods. All models can be set manually to defrost by chosen time length and defrost power level while some of the most advanced models offer pre-set functions specific to various types of frozen foods. Use a Magic Chef microwave oven to defrost frozen meats and vegetables. Place the food item to be defrosted into a microwave-safe bowl or onto a microwave-safe drip plate. Add a splash of water to the bowl if defrosting casserole items containing pasta or rice ingredients, which can soak up fluids even during the low microwave defrosting setting. Items that have sauces or that need to remain moist should be covered with a lid or clear plastic wrap. This catches any unintentional evaporation and drips it back into the food or sauce. Frozen meats do best when left uncovered and turned periodically while defrosting to avoid partial cooking in hot spots. Defrost by manually setting the power level and defrost time once the weight of the food item has been calculated. This is the basic defrost capability offered on most Magic Chef models. Choose a high or low defrost power setting and then immediately set a length of time for defrost. Press the Start button to begin defrosting. Meats defrost best when the lowest setting is used. Quick Defrost uses a preset constant medium-level defrost power. Users choose time lengths corresponding to the number of times the Quick Defrost button on the key pad is pushed. Each button push adds a defrost time of one minute. Once set, begin defrosting by pressing the Start button. This is an ideal choice for defrosting frozen sauces and items which need stirring and close monitoring. Most Magic Chef microwave oven models offer this feature. The Auto Defrost by Weight feature provides specific pre-set power and time settings. Different types of items have corresponding buttons allowing you to select different graduating weights with each push of the button. Once the item type (e.g., meat, frozen entree, vegetables) and approximate weight are chosen, defrosting can begin by pushing the Start button. The Magic Chef MCD1811ST and MC0165UB oven models are examples of larger, higher-end microwaves which have this feature. 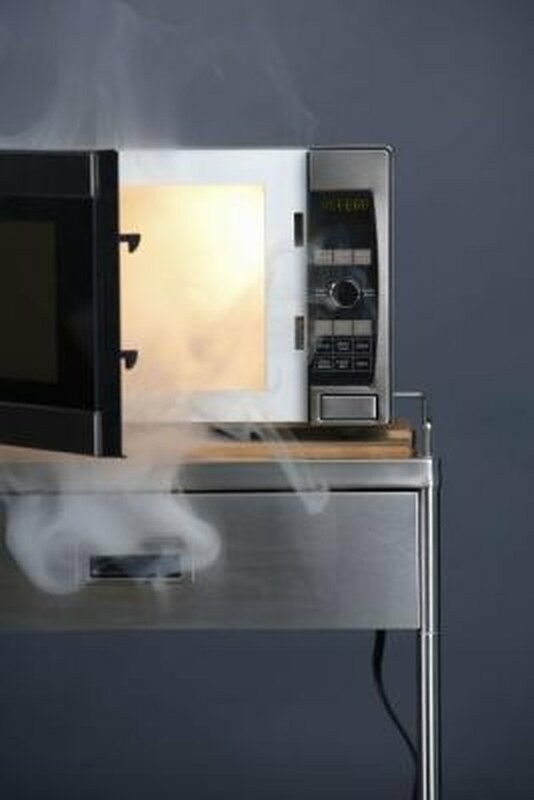 What Does Auto Defrost on a Microwave Do?